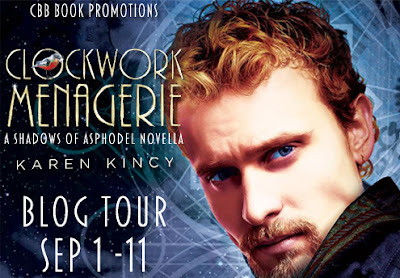 Welcome to the CLOCKWORK MENAGERIE BLOG TOUR! I am today's host and will be posting a review, but be sure to keep scrolling to enter the US/CAN Giveaway of a Gold Lotus Flower Bookmark that Glows in the Dark from Etsy seller Papillon9! It ends on September 16th, so you don't want to miss it. Please check out the tour page for the complete schedule and more information! This one was such a good interlude and refresher on the Shadows of Asphodel story line. 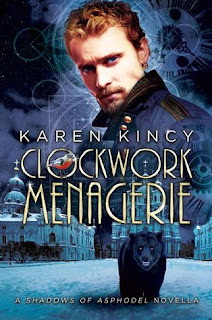 I loved Konstantin since the first time we met him and he grew into such a great character that I was super excited to see that he got his own novella. I love him and Himmel together and I was really excited to see that this story focused more so on the two of them than anything else. Konstantin stared at his unyielding face. "You think we did the right thing? A little boy watched his mother die." A muscle in Himmel's jaw jumped. "Women and children aren't immune from war." 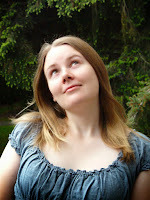 I have an issue with novellas some times because they advance the plot too much that you have to read it before reading the next book in the actual series. But I didn't find that with this one. Do I think it will be helpful to read this before the third in Shadows of Asphodel? Probably. But that doesn't mean you have to. I liked that there was no shying away from the romance in this one; this relationship was treated the same way as Ardis and Wendel's. That was the best part. Like I love when authors do this. I rated this one 4/5 stars because I found myself smiling the entire time I read it. It was beautifully written (of course) and it made me fall a little more in love with this series than I already was. I would love to see more of the series from Konstantin's perspective! So happy you enjoyed this! I also loved Konstantin's POV, he's different when you're in his head. :) Thank you for hosting a tour stop!